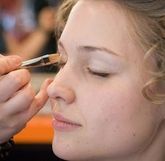 In 2007, Artistic Beauty Colleges merged with Empire Beauty schools in the event when Regis School Division merged with Empire Beauty School. They offer special courses on Cosmetology training and even have dedicated programs for Nail Technology and Teacher of Cosmetology trainings. The training centers are situated in the regions of Colorado and Arizona. They have a dynamic curriculum along with 3D aids for teaching. Expert faculties and certified educators of Cosmetology from Empire impart knowledge to the bright students of the institution. Each school under them is accredited by NACCAS and have necessary license to run in Colorado and Arizona. There are currently 0 consumer reviews about Artistic Beauty Colleges available. Share your review. Please take a note that you are about to post a public review about Artistic Beauty Colleges corporate office on CorporateOffice.com. This review will be public, so please do not post any of your personal information on this website. If you would like to contact the corporate offices of Artistic Beauty Colleges, please use their contact information such as their phone number, website, and address listed above to contact them. However, sometimes staff from Artistic Beauty Colleges headquarters do read the reviews on this website.